Welcome Dr. Bibhuti Bhusan Sahoo to Join the Editorial Board of American Journal of Agricultural Research. Regional Research and Technology Transfer Station, (OUAT), Semiliguda, Post Box No: 10, Sunabeda, Koraput, Odisha. The responsibilities include conducting research trials to develop improved off-season vegetable varieties/hybrids resistance to biotic and abiotic stresses. Development and validate technologies suitable for higher crop production, plant protection, post-harvest handling, and storage. Production of quality planting materials for the targeted farming communities. Development of liaison between university and line department. Conducting Front Line Demonstration (FLD) on horticultural crops for the horizontal spread of technology on farmer’s field. To provide scientific leadership in horticultural research for solving location-specific problems. To provide training support to the vegetable growers in eastern ghat highland zone of Odisha. All India Network Research Project on Onion & Garlic, College of Horticulture, (OUAT), Chiplima, Sambalpur, Odisha. The responsibilities include collection, evaluation, and conservation of Allium Spp. existing in different localities of Odisha. Conducting varietal trials to develop improved varieties and hybrids resistance to biotic and abiotic stresses. Development and validate technologies suitable for higher bulb production, plant protection, post-harvest handling, and storage. To provide scientific leadership in network research for solving location-specific problems of production and storage. To provide training support to the onion & garlic growers in Odisha. Sustainable Rural Livelihood and Food Security to Rainfed Farmers of Odisha. NAIP, Component-3, College of Agriculture, OUAT, Bhubaneswar, Odisha. The responsibilities in this project include, increase farm productivity through crop diversification, suitable soil water conservation majors, and soil health management. To increase farm profitability by selective farm mechanization to reduce the cost of cultivation. Linking farm produce to processing, value addition, and marketing industries. To create more employment opportunities through introduction of commercial diary, goatary, poultry, apiary, mushroom cultivation, pisciculture, nutritional garden & vocational activities (Leaf Tray making & Bamboo Craft). To promote capacity building through training/demonstration of farmer and farm women, formation of SHGs and creation of farm knowledge centers (FKCs). Facilitation Center of National Medicinal Plant Board in OUAT, Department of Horticulture, College of Agriculture, OUAT, Bhubaneswar, Odisha. The Project responsibilities include collection, conservation, and documentation of medicinal plants. Production of quality planting materials. Organizing workshop and multi-location training programs on different medicinal plant cultivation. Attending Herbal fairs to develop the marketing linkage in between the producers, traders, and manufacturers. Publication of extension literature and newsletters for wider publicity and awareness. 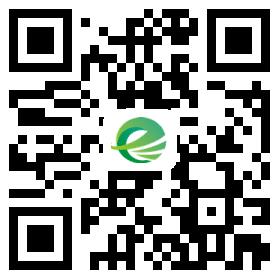 Development of worldwide website and documentary picture on medicinal plant cultivation. DBT–Rural Bio-Resource Complex Development, Department of Agronomy, College of Agriculture, OUAT, Bhubaneswar, Odisha. The responsibilities include organizing vocational training programs for farm men and women, rural youth and school dropouts in agriculture and allied sectors. Conducting On-Farm Testing (OFT) on the proven technologies in the field of agriculture, horticulture, livestock production, fisheries and other land based enterprises. Conducting Front Line Demonstration (FLD) on agri-horticultural crops for the horizontal spread of technology on farmer’s field. Production of quality planting materials for the targeted farming communities. Planning, monitoring and evaluation of the above works with higher authorities and line departments. All reports return and documentation. Integrated Watershed Development Programme (IWDP), District Rural Development Agency (DRDA), Nayagarh, Odisha. The responsibilities include Organizing vocational training programs and exposure visits for rural farming communities. Formation of SHGs and creation of farm knowledge centers (FKCs). Creation of employment opportunity through land-based enterprises like mushroom cultivation, seasonal vegetable cultivation & quality planting material production. Attended Trainers Training Programme on “Scaling up of water productivity in Agriculture for livelihood” at RRTTS, OUAT, Chiplima, Sambalpur from 9th to 22nd 2010. Attended Training on “Mushroom cultivation, Processing, marketing, mushroom food production and spawn production” organized by CTMRT, OUAT, from 20th to 29th April 2006. Imparted training to 40 women farmers from anemia and vitamin A deficiency household of Koraput on “Improved cultivation practices and management of nutritional garden” under “Leveraging Agriculture for Nutrition in South Asia (LANSA) program. Imparted training to the local farmers of Koraput under training program on National Project Management of Soil health and Fertility (ATMA) as requisite by AAO, Semiliguda. Imparted training to the local farmers of Koraput under GKMS program of AAS, RRTTS (OUAT), Semiliguda, Koraput. Imparted training to the local farmers of Koraput as and when required by Senior Scientist & Head, KVK (OUAT), Semiliguda, Koraput. Imparted training to the school dropouts under skill development program as and when required by DDH, Koraput. Imparted training to the local farmers of Gajapati on Organic Ginger & Turmeric Cultivation under State level farmers training program organized by HARS, Pottangi, Koraput sponsored by DASD, Calicut, Kerala. Imparted training on “Kharif onion” in the training program for the “Self-employment of Gardener under NHM, Nursery Business Management, Orchard Management, Seed and Quality Material Production and Postharvest Management under NRLM” is being organized during the year 2012-13 and Horticulture Training Institute, Farm Road, Modipada, Sambalpur. Imparted Training on “Gardening and Grafting” as a resources person to the farmers of Angul District at the progeny orchard organized by the office of the Horticulturist, Angul from 13th to 22nd 2009. Attended the State level workshop on commercial cultivation black pepper organized by Office of the DDH, Koraput on 02nd – 03rd September 2015 at DPMU Conference Hall, Koraput. Attended the 5th Annual group meeting of All India Network Research Project on Onion and Garlicorganized by Directorate of Onion and Garlic Research (DOGR), Rajgurnagar, Pune in collaboration with National Horticultural Research and Development Foundation (NHRDF), Nashik on 13th to 15th March 2014. Attended the workshop on Status, prospects, and perspectives or raising medicinal plants in Odishaorganized by OUAT in collaboration with the state medicinal plant Board and sponsored by National Medicinal Plant Board. New Delhi on 10th Dec 2008. Attended the workshop on Management and monitoring of confined field trials of genetically engineered crops organized by OUAT, Bhubaneswar under the sponsorship of Department of Biotechnology. Government of India and Biotech Consortium India Ltd. New Delhi on 3rd June 2009.